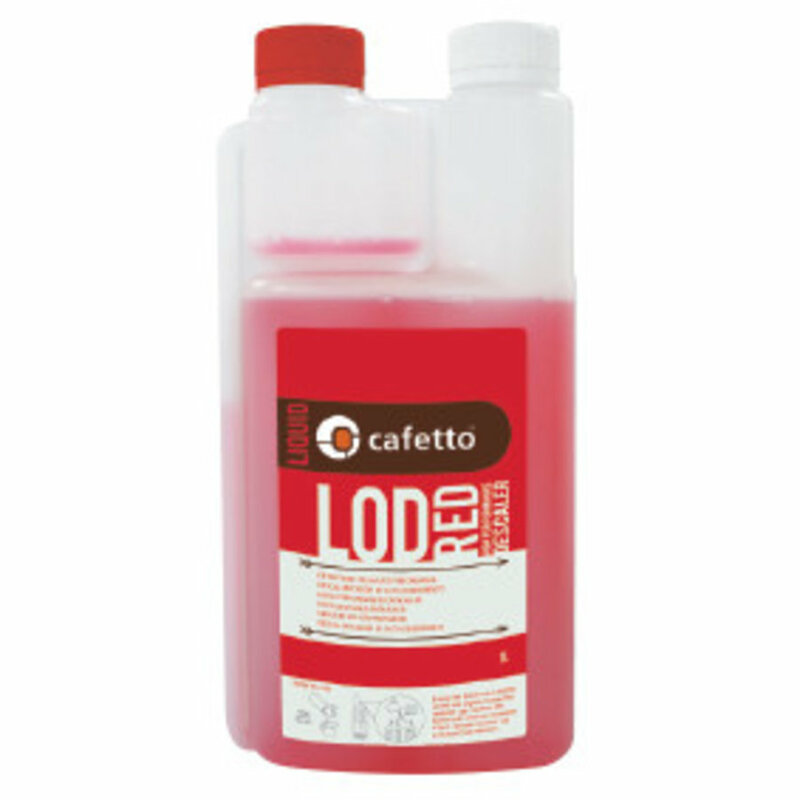 LOD Red descaler is an eco-friendly, highly-concentrated liquid descaler which rapidly and easily removes lime scale and calcium build up from metal surfaces in contact with hot water such as espresso machine water tanks, coffee brewing and other hot water equipment. LOD Red is designed for those applications that require removal of heavy scale build up in coffee equipment and hot water systems. Although this product is intended to be used in the removal of tough scale and staining, it has been specifically formulated to include compounds that ensure it is safe to use on aluminium, brass and stainless steel. A formulation of organic acids which are naturally occurring compounds produced by fermentation of simple sugars. These acids can be found in fermented milk products and also are by-product of biological energy production.